I have much to be thankful for this Thanksgiving and to honor all that God has blessed me with, I am passing on the blessings to those who have much less than I do. Five baby quilts (two are waiting in the wings to be quilted on the long arm) are going to find their way to Bridgehaven, a local pregnancy support center. Amy, what a beautiful way to share in Thanksgiving. We have so much to be grateful for. Happy Thanksgiving to you and your family. How sweet! They are beautiful & their lucky recipients will cherish them. It is truly better to give, and the feeling is much happier than the receiving. Your quilts are beautiful, and will be appreciated so much! Have a wonderful Thanksgiving! So, so many blessings here. God knew the big picture, so he blessed your husband with the ability to fix your long arm. 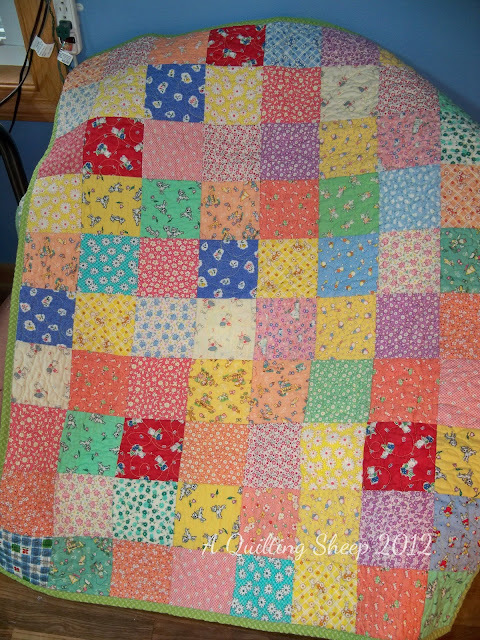 In turn you were blessed and able to finish more quilts. And anyone receiving one of your quilts is blessed. The parents will certainly appreciate a quilt as cute as yours. What a wonderful quilting angel you are!! Those are such beautiful quilts and for such a good cause! Awww, they are all so pretty. Some Momma's out there are going to feel so loved because of your kind heart. I hope you have a very blessed Thanksgiving. sweet quilts....Have a great Thanksgiving Amy!! Those are sweet. :) How wonderful! Amy. They are truly beautiful. I love all those 30s prints, so happy and sweet. They are surely going to make those women smile as they are making me smile. You are right: it is better to give than receive because the joy it brings is like receiving something anyway. A two-for-one special. Thanks for sharing those quilts. I do hope you are going to sew the binding on by machine (my only method because it is quick, quick, quick). 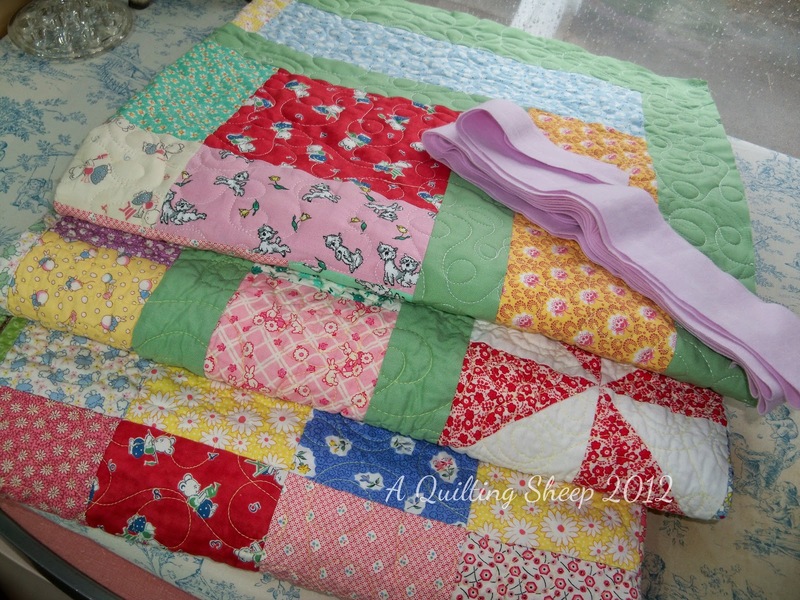 Those are such sweet quilts Amy. Your baby quilts are lovely! And how generous to donate them to those who need them most! 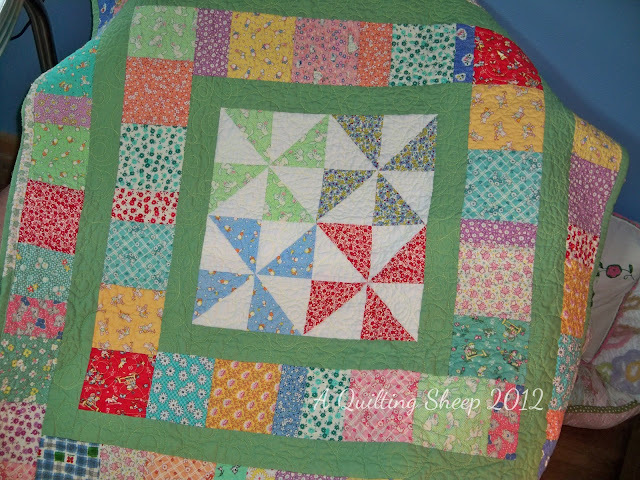 Your baby quilts are beautiful. I love the reproduction fabrics so much. 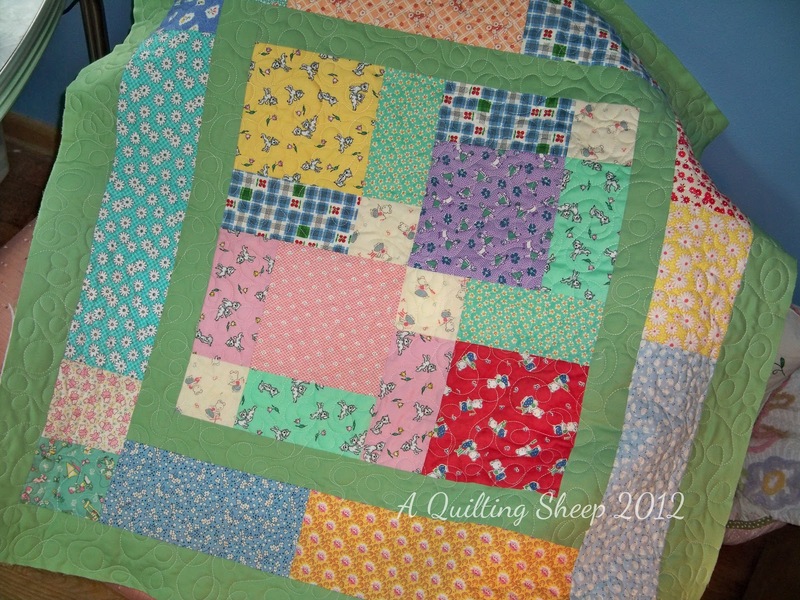 There are some lucky babies out there that are going to be cuddled up in your quilts. Happy Thanksgiving. How nice! I hope the mothers that receive them totally cherish them. You have such a lovely giving heart! They will be greatly appreciated.